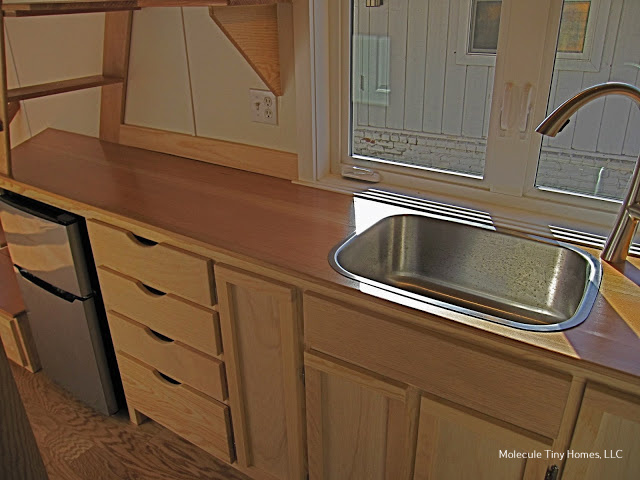 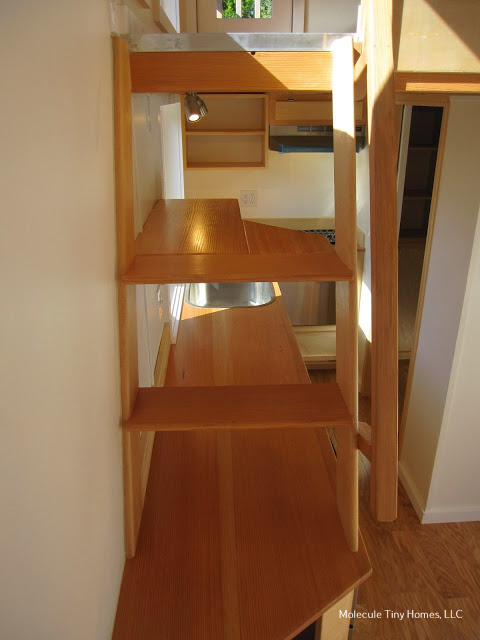 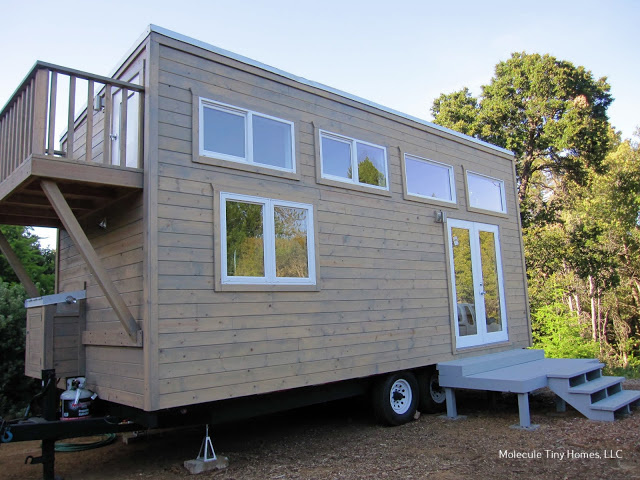 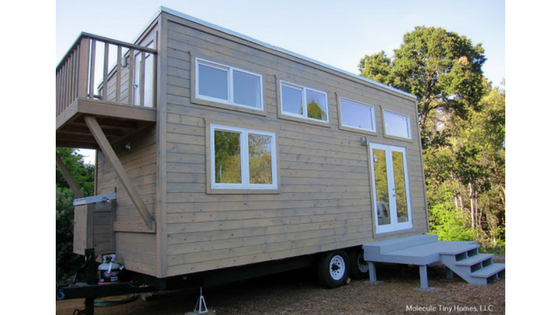 The Contemporary: a cozy tiny house on wheels that perfectly blends together rustic and modern. 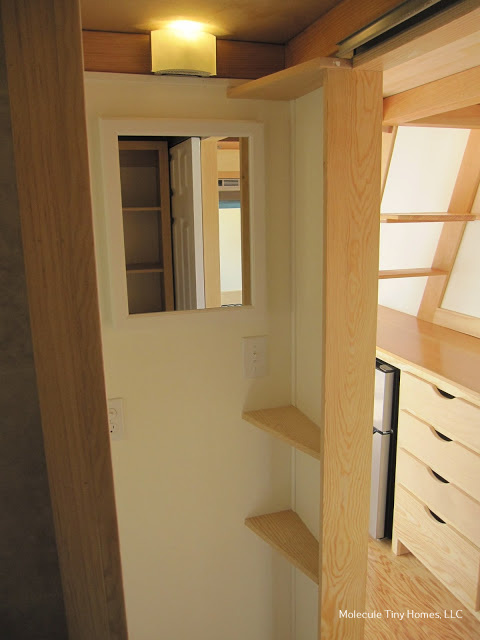 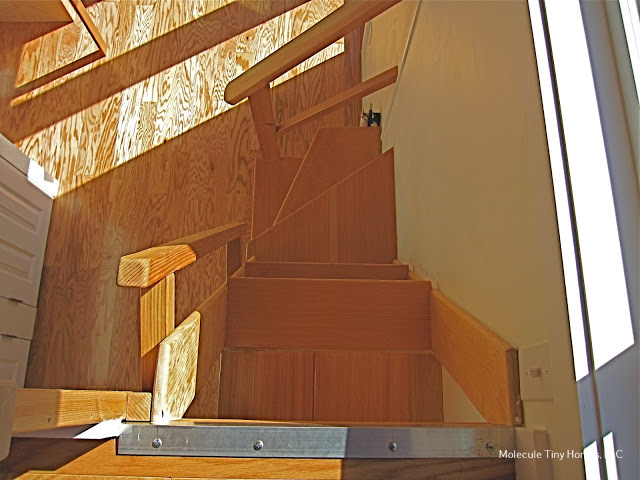 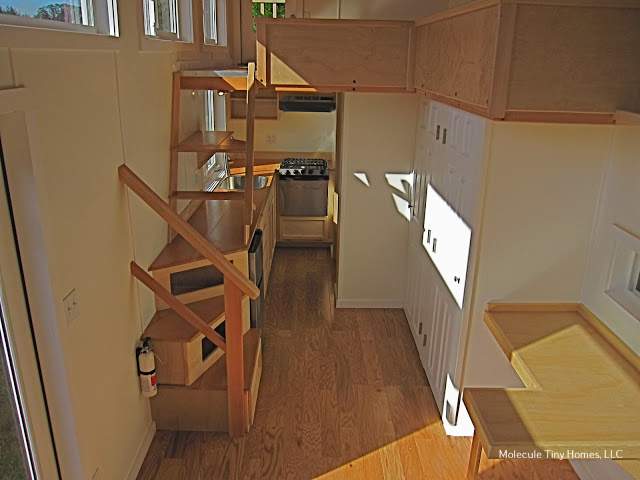 Designed and built by Molecule Tiny Homes, the home measures 22' x 8'6" and is built onto a double-axel trailer. 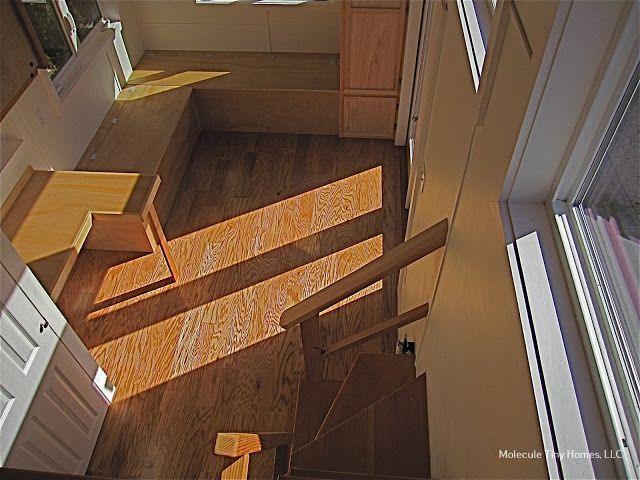 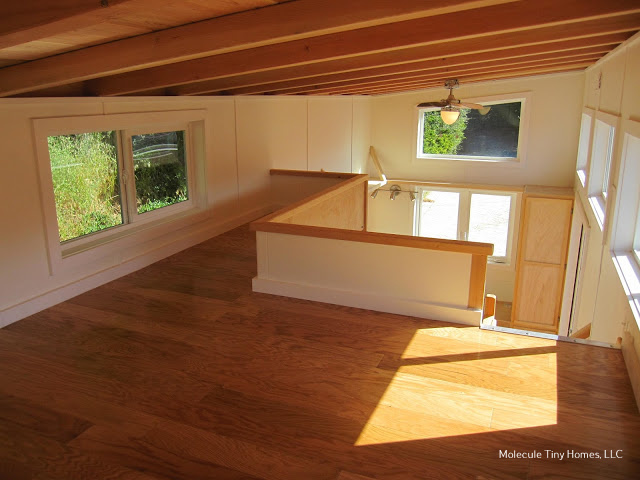 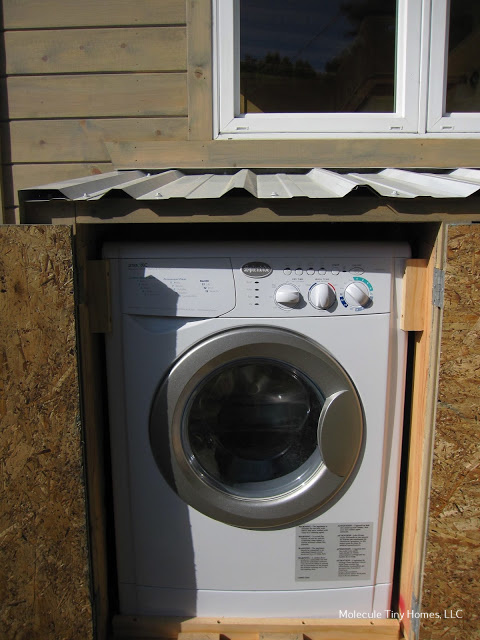 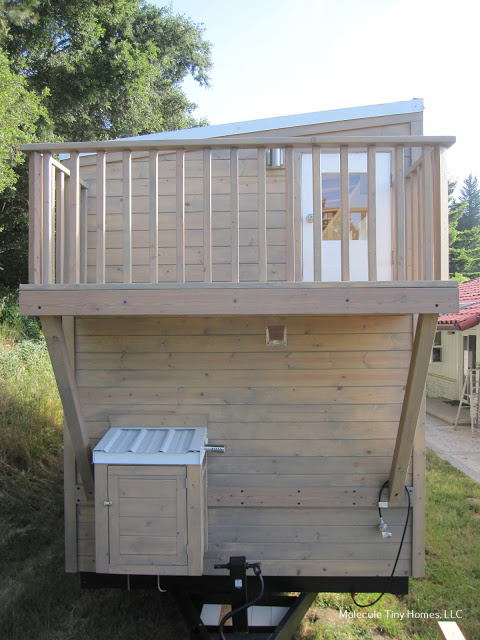 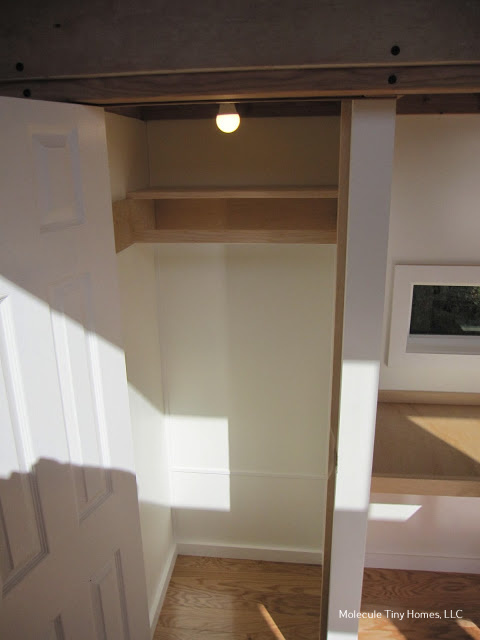 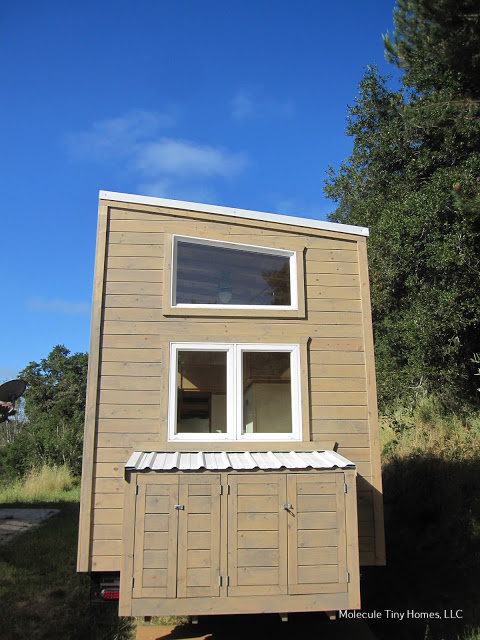 Its exterior features wood sidings small balcony, a storage box, and a washer/dryer combo. 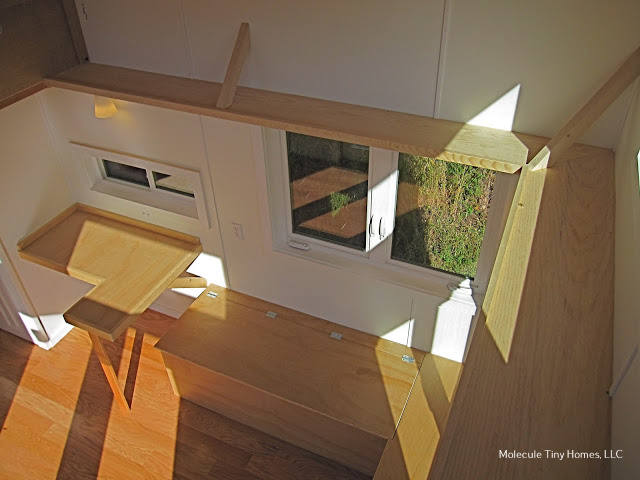 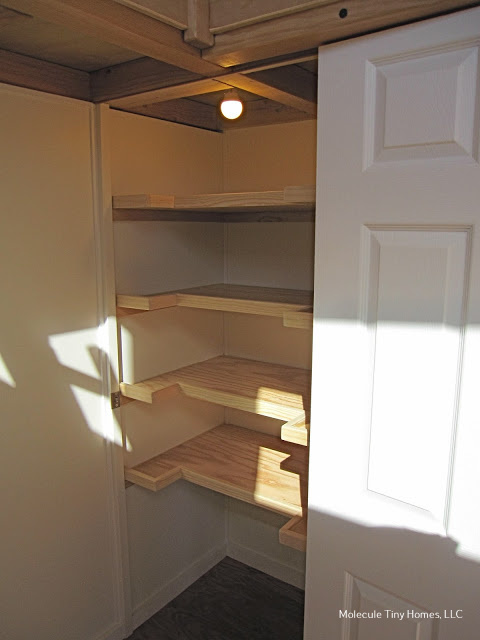 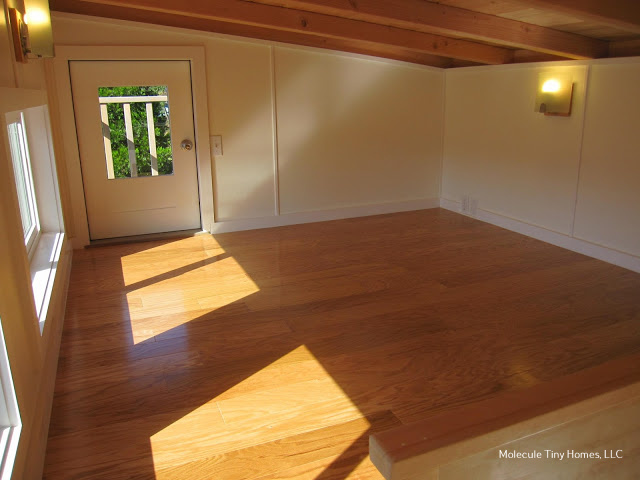 Inside is a living room with a built-in L-shaped bench, a bar-style dining table, and a storage closet. 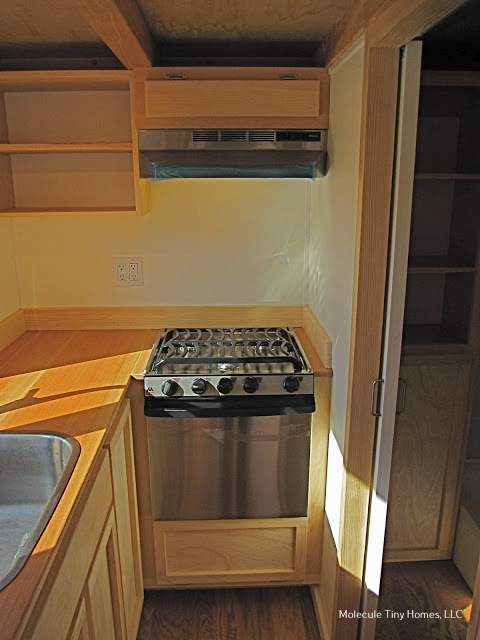 The kitchen comes equipped with a two-burner range, a mini fridge, stainless steel sink, and undercounted cabinets and drawers. 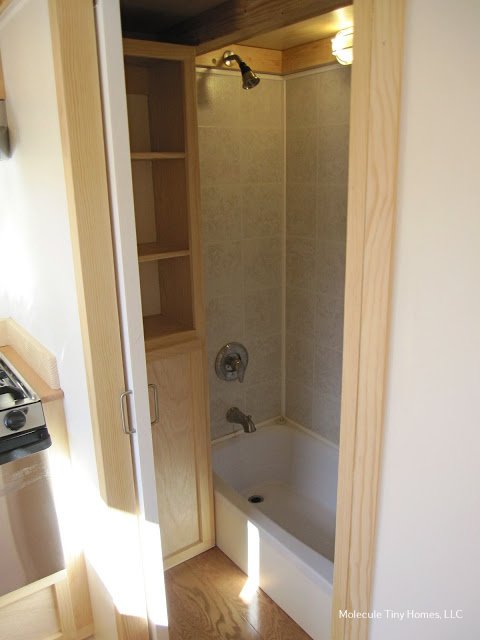 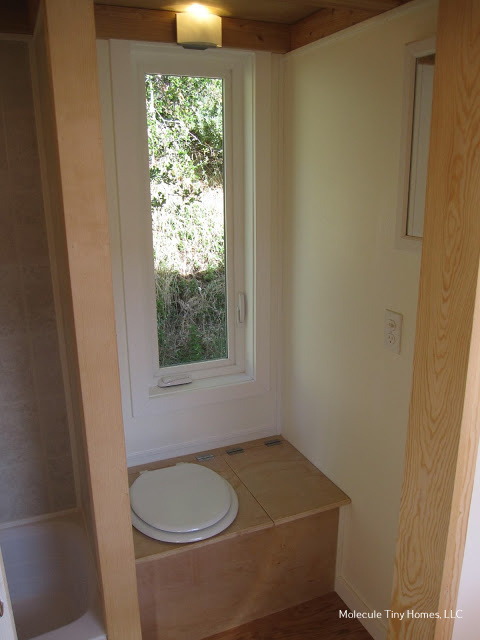 There's also a full bathroom with a tub! 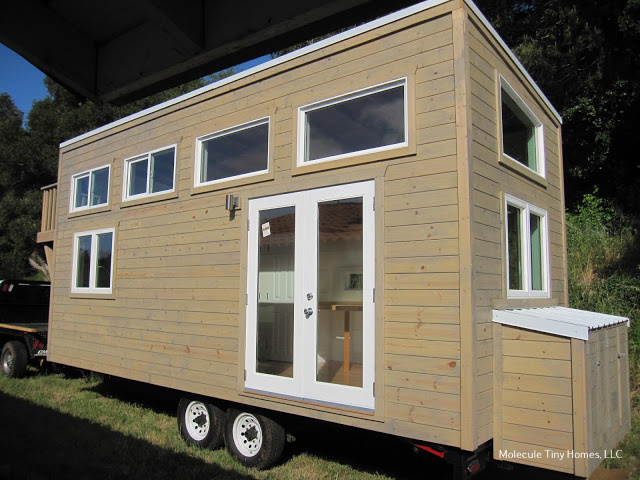 The Contemporary is available to order for $75,000. 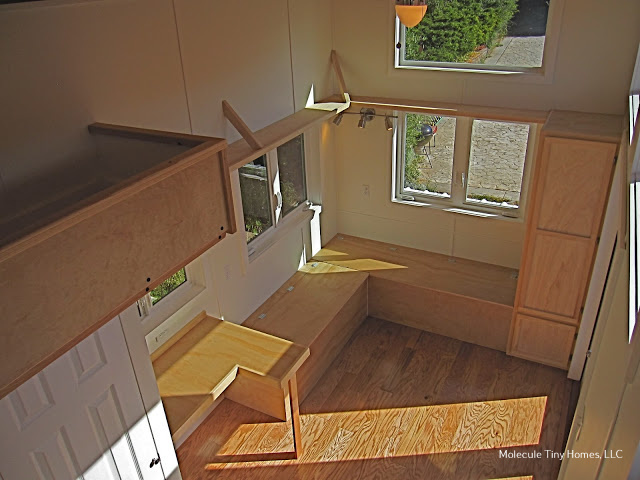 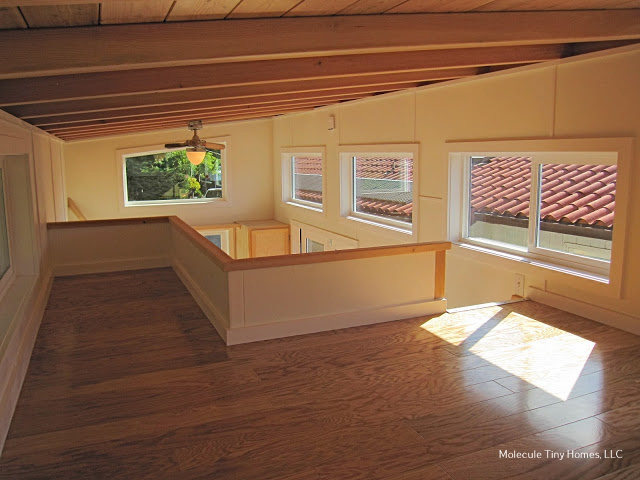 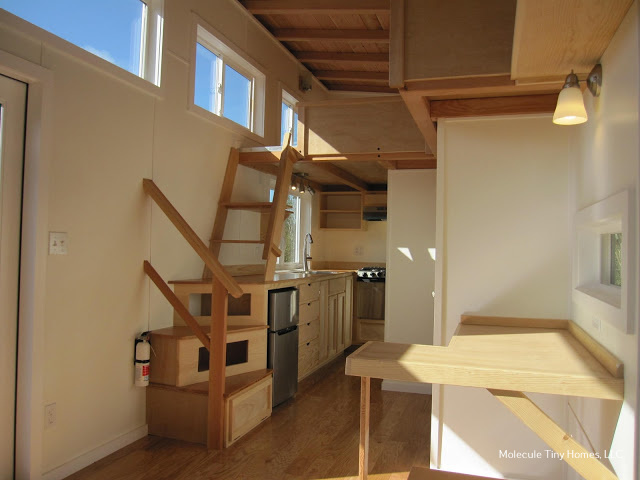 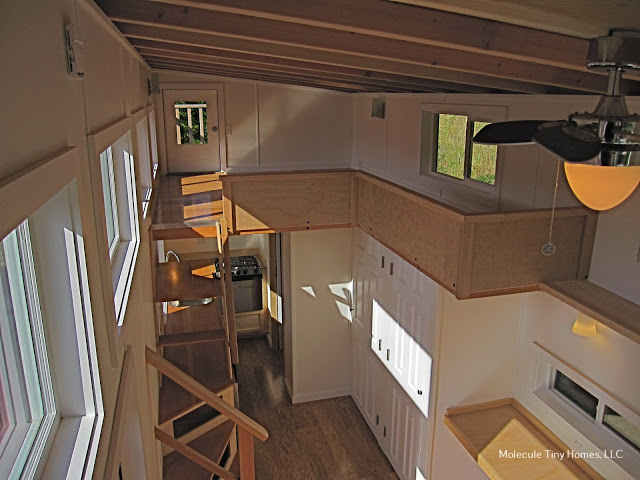 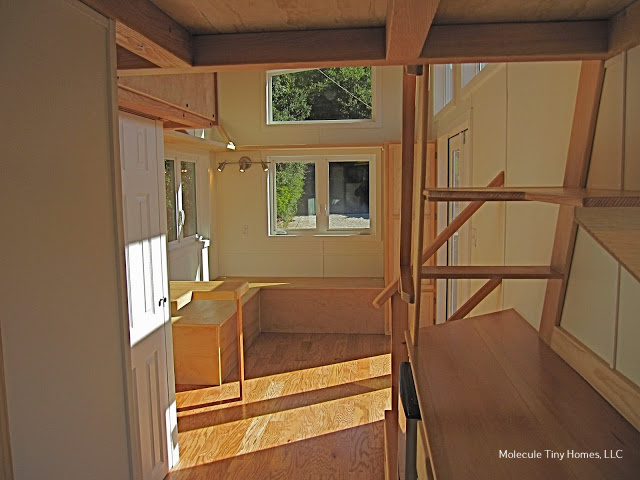 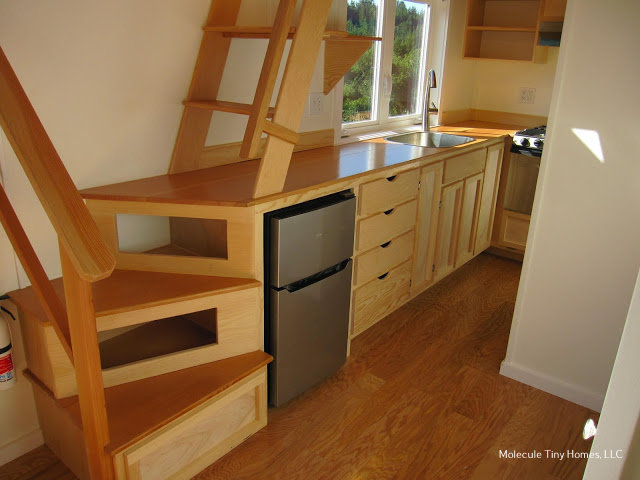 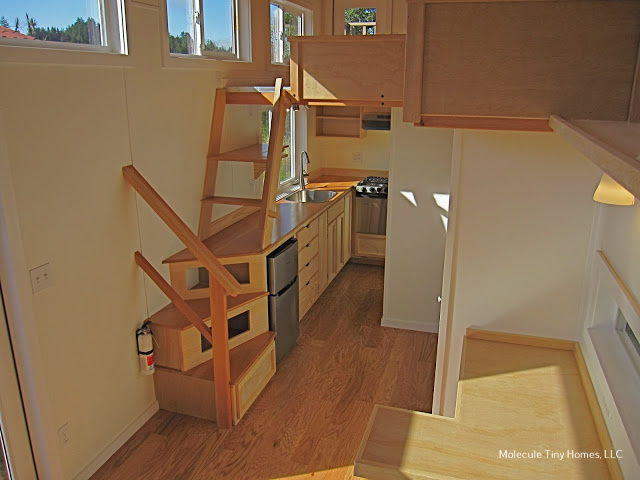 Contact Molecule Tiny Homes at moleculehomes@gmail.com for more information!